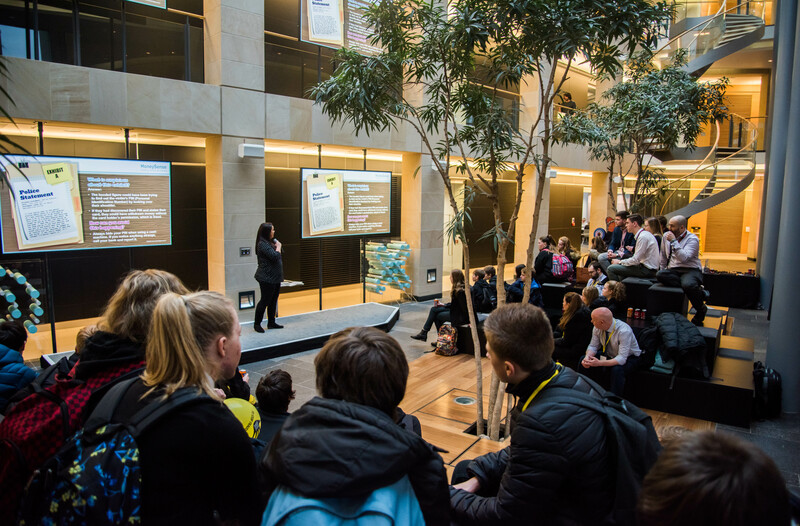 RBS hosted an event at their Gogarburn headquarters, bringing together 30 school pupils from across Edinburgh to learn about cyber threats, including hacking and phishing, and how to detect potential scams and fraudulent messages. “The great thing about cyber is that there are loads of really different jobs. You could be scanning to see what bad stuff could hit us next and make plans to stop it, you could be scanning Instagram or Facebook to help Police take down fraudsters targeting people online or you could do what I do, educate our customers about what you need to do to bank safely and securely online. “The truth is, cyber needs all types of people. I used to think it was just for very technical people and that’s not the case. You need technical people of course but you also need people who can take all that technical stuff and turn it into something that your granny can understand! Watch a short sharp, bite size summary of the day and feel free ot share on social. Interested in cyber security? Check out our ‘Meet the Experts’ sessions, featuring talks from the likes of Police Scotland and PwC.